"Life is too short to be lived counting the years. Just enjoy the ride and make awesome memories. " First of all, I would to thank my family and friends for their heartfelt greetings on my natal day. 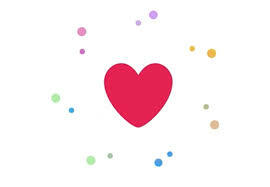 I felt loved through by your Facebook messages or personal greetings. It means a lot to me. As usual, we did not have an extravagant celebration at home. I filed a one day leave from work. We chose to stay at home. I prepared penne pasta and fruit salad. 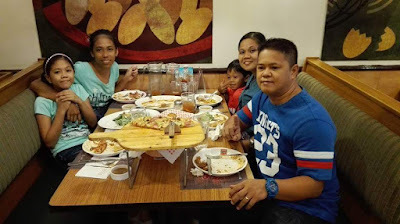 Hearing remarks from the husband and kids that the food was delicious made my birthday extra special. They never fail to appreciate my cooking skills, hehe. I went to the market to buy the ingredients for my simple handa at 10 in the morning. Before going home, I dropped by at my favorite beauty salon and had a haircut - a very simple version of "me-time". Celebrated my birthday as a complete family. I am grateful that my husband decided to take a break from working abroad and enjoying his job here. My husband and I are blessed with sweet, loving and understanding children. They continue to inspire us to work hard to give them a comfortable life and a bright future. Being part of a biggest Gospel Choir in World (as conferred by Guinness Book of World Records). 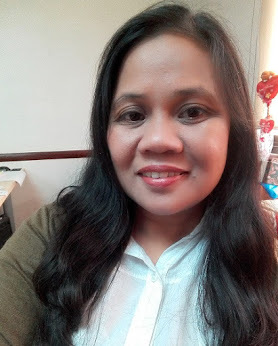 My husband and I performed in the choir on the Iglesia Ni Cristo's Worldwide Intensive Propagation of God's Words last May 22 at the Philippine Arena, Cuidad de Victoria, Bulacan, Philippines. The positive development in the case we filed against the criminal who killed my brother is the biggest birthday gift I received this year. My folks has finally transferred to the "cute" house we built after Typhoon Nona. Though the house is not 100% finished, they can already sleep comfortably there. I took a break from gardening for almost two months. Been so very busy with a lot of things lately. My recent comment exchanges with a friend and former office mate Anna in her Wanders and Flowers blog prompted me to post an update on my urban gardening adventure. Our topic is about growing herbs. I told Anna that I am a hard time growing herbs. I've tried twice, but all of the herbs I planted did not thrive. In her latest reply to my comments, she shared a link about growing culinary herbs. After reading the article that Anna shared, I realized my two mistakes in cultivating herbs. Error Number 1: Planted the herbs on a place without direct sunlight. My garden is situated in a small space by the window, partly covered by plastic mesh, and near the roofs of my two neighbors. I waited my herbs to growing beautifully, but to my surprise they all turned to yellow and then, bye-bye, all of them withered, even the basil and mint which are the suggested plants for novice gardeners. Apparently, herbs need to be regularly harvested and cared for in order to thrive. Back to school shopping for my children is scheduled on Saturday. To make sure that we will not miss any item, I prepared a handy shopping list. Likewise, we will push through with our plan to improve their study area. We need to purchase a bookshelf that will also serve as a divider, study table and chair, and hopefully a dependable printer for the kids' school assignments and projects. I'm excited decorate their study room. It will also serve as my blogging space whenever they're not using it, hehe. 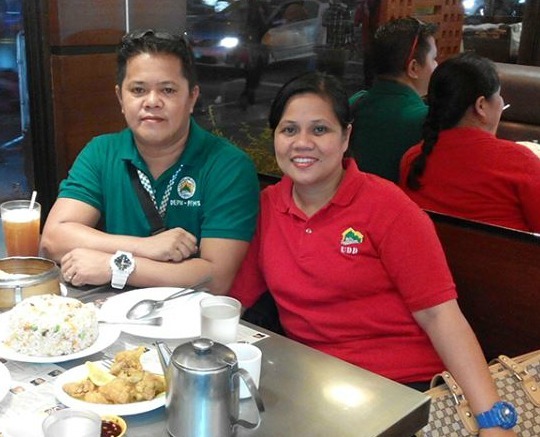 How about you moms and dads, what are your preparations for the incoming school year? On the other hand, what is your take on militant groups urging presumptive President Rodrigo Duterte to scrap K to 12? Share your thoughts in the comments section below this post. Ciao! Please support Makati City in its journey into becoming the next Global Earth Capital through the Earth Hour Cities Challenge. Spearheaded by the World Wide Fund for Nature (WWF), We Love Cities is a worldwide campaign to determine the best cities that have shown commitment towards sustainable environment. WWF invites people all over the world to nominate and vote for their favorite cities, share what they love about them through photos and videos, and submit suggestions for how they can become more sustainable. The winners of the 2014 We Love Cities Campaign were Khunhan, Thailand and Medellin, Colombia. This year, there are 20 participating countries. The Philippines nominated three cities which include Santa Rosa, San Carlos, and of course Makati. The campaign started last April 26 and end on June 22, 2016. To vote for Makati City, log on to http://www.welovecities.org/makati/ up to June 19, 2016. You can share posts related to the weekly theme provided by the city's Department of Environmental Services on Facebook, Twitter, and Instagram. 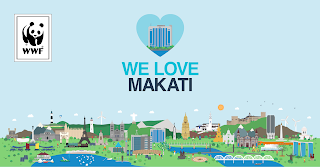 JUST REMEMBER TO USE #WeLoveMakatiPh for your posts to be counted as vote points. Also, for your votes to be counted, please set the privacy of your post to Public. Classes in public (and some private) schools will already start in less than a month. Parents are busy enrolling their children, buying stuffs here and there. 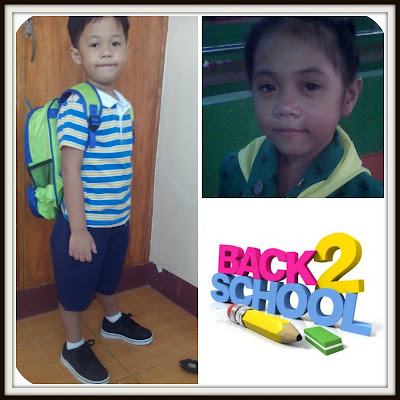 Thea will be on the 5th Grade while Yohan will be on Kindergarten- Level 2 this coming school year. We are not able to enroll in any summer class but we are using the school break to teach them basic life lessons and skills. For example, Ate already knows how to sweep the floor and wash the dishes. She attempted to bathe Bunso once but forgot to shampoo his hair, hahaha. We continuously teach them good manners. We will start purchasing school supplies, would like to invest more on books and other educational materials, especially for my kindergartner. While browsing the Internet this morning, I stumbled upon a website about the ways to teach literacy using LEGO. I am amazed with the several ways to use the popular toy as visual aid for fun learning at home. That is originally written by Becky, a homeschooling mom on her website thisreadingmama.com. 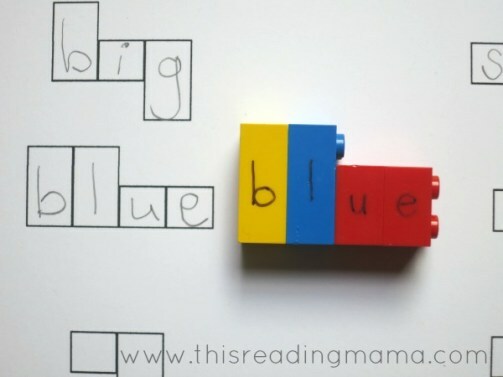 I bookmarked here post about spelling with LEGO. I am so excited to buy a set of LEGO blocks and create my own learning kit for Yohan. LEGOs can also be used to teaching Mathematics. I 'll do that for Thea. 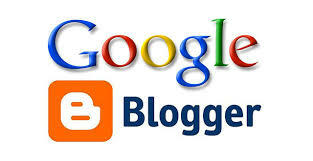 Should I Shift from Blogger to WordPress? 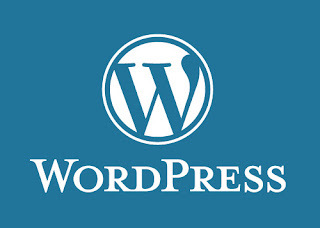 Blogging via WordPress (WP) platform is not new to me. I had a self-hosted WP blog few years ago but failed to maintain it. 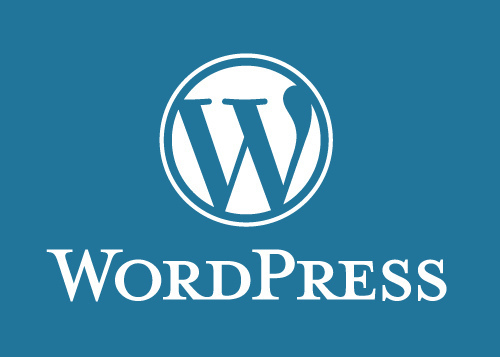 Even though this blog has been online for more than 8 years now and has a sentimental value, I am thinking of migrating the whole content to WordPress. In fact, I already started the transfer last February but set aside the idea because I was undecided yet. I will think about this again and again.... and, wait for further developments, hahaha. April was not a good month for me. 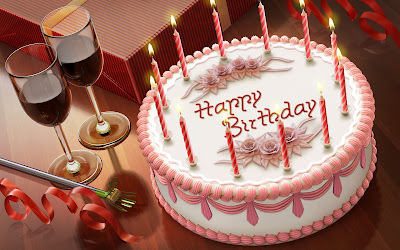 I am turning a year older this month. Number 1 in my wishlist is that justice may prevail for the killing of my dear brother. And most of all, I pray to God for more blessings and good health for me and my loved ones. (Advanced) HAPPY BIRTHDAY TO ME! Mag-iisang buwan na mula ng mangyari ang pinakamasakit na yugto sa buhay naming pamilya ni Ronel “Onel” Balderama Sotto. Hindi namin matanggap ang nangyaring pagpaslang sa kanya, isang napakasakit na kamatayan sa pamamagitan ng kamay ng walang awa at wala sa katinuang pag-isip na kriminal. Halos maubusan na kami ng luha, lalong-lalo na ang aming mahal na ina. Hanggang ngayon, napakarami pang tanong sa isipan ng bawat miyembro ng aming pamilya – mga katanungan na gustong-gusto na namin mabigyan ng kasagutan. 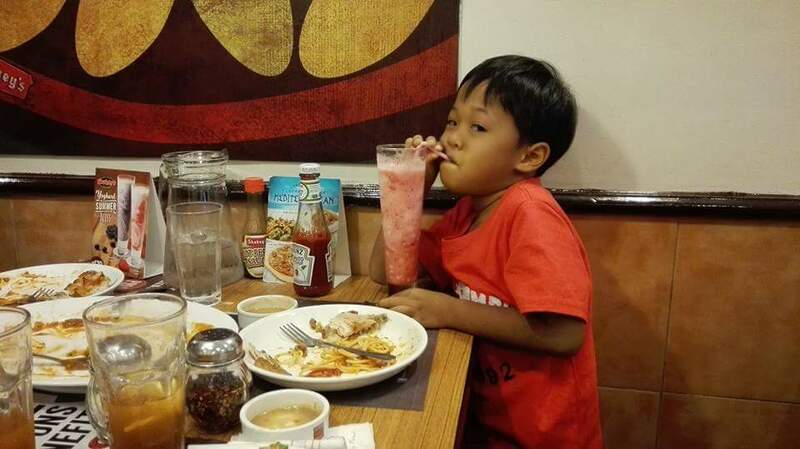 Arvin, oo may mga nangyaring hindi pagkakaunawaan sa pagitan ng aking Manoy Onel at sa kapatid mong si Zeny “Nea” Camposano. Ngunit, sapat na ba yun para bawiin ang buhay ng kapatid ko? Sapat na bang dahilan iyon para saksakin mo siya, saksakin nang hindi lang isang beses kundi LABINDALAWANG (12) BESES? Hindi ba’t ng sinugod mo siya noong gabi ng Abril 6, 2016, nagmakaawa siya sa iyo na kinabukasan na kayo mag-usap dahil lasing na lasing ka na? Bakit di ka nakinig? Bagkus, tinaraydor mo siya? Bagkus sinaksak mo sya sa likod niya ng napakaraming beses. 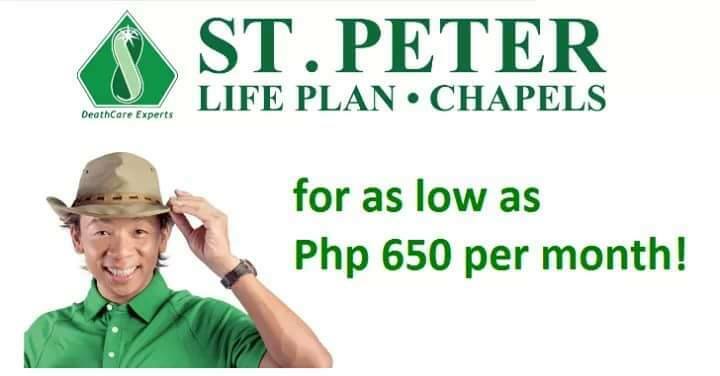 Paano mo iyon nagawa? Dahil sa pagkampi mo sa kapatid mong si Zeny? Noong mga pagkakataong nagsusumbong si Zeny sa iyo, inalam mo ba ang puno’t dulo ng mga pagtatalo nila? Para kay Zeny/Nea, Ano ngayon ang masasabi mo, ngayong wala nang makapananakit sa’yo? Pag nagkaharap tayo, ano kaya ang sasabihin mo sa akin? Masasabi mo ba sa akin ng nakataas ang noo na hindi ka dapat saktan ng asawa mo? Ano naman ang isinasagot mo kapag nagtatanong ang mga anak nyo ng, KUNG KELAN UUWI O KELAN GIGISING ANG PAPA NILA? Sa magulang ni Arvin, ano na po ang plano niyo? Totoo ba na hinayaan ninyo na makatakas at makapagtago ang kriminal ninyong anak? Sa iyo, bilang ina ng pamilya, bilang isa sa tagapagpatupad ng batas, paano po kayo nakakatulog ng mahimbing mula ng mangyari ito? 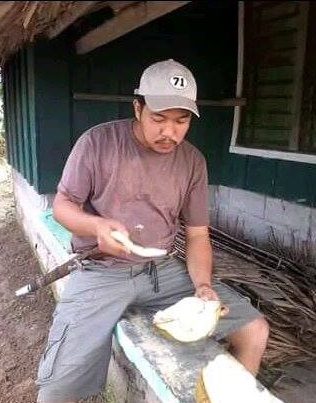 May batas tayo, bakit po hinayaan ninyo na humantong sa ganito? 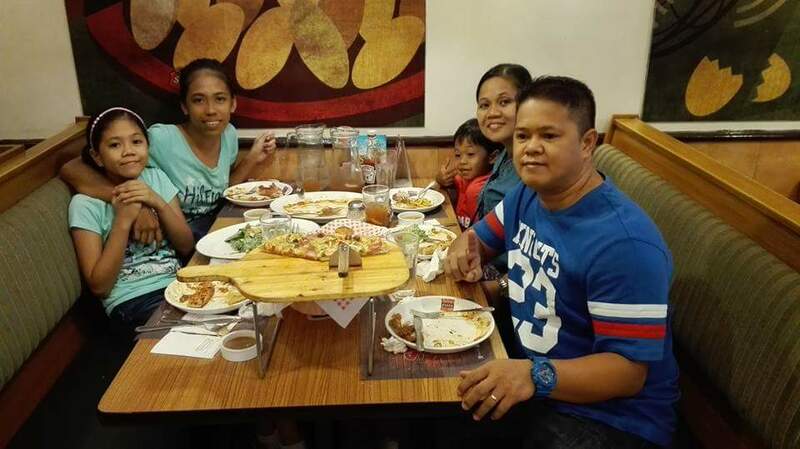 Kayo po ang lumugar sa kalagayan ng Mama ko, ano po kaya ang mararamdaman nyo kung sa pamilya nyo nangyari ito? Hindi nga ba’t may kasabihan na, kapag ang asawang babae ang namatayan ng asawa, ang tawag ay biyuda, pero pag siya ang namatayan ng anak, walang akmang salita na maibigay? Ganun po kasi kasakit ang mawalan ng anak na siyam na buwan dinala ng ina sa kanyang sinapupunan. Hindi maipaliwanag na sakit ang nararamdaman ni Mama ngayon. Sa palagay ko, hindi niyo dapat ikatwiran na kaya namatay si Manoy Onel kasi sinaktan nya ang anak ninyo. Hinding-hindi nyo po iyan dapat ibigay na katwiran sa amin. Hindi kami nagkulang sa pagpapayo at pagpapaalala sa Kuya ko. Kung naging masunuring asawa lang sana anak niyo, hindi mangyayari ito. Bukas ang aming isipan, positibong ang aming pananaw. Hindi magtatagal, makakamit namin ang HUSTISYA. Hustisyang isinisigaw ng mga puso naming nangungulila dahil sa pagpaslang kay Manoy Onel. Sa mga nakakakilala, nakakita o may ano mang impormasyon tungkol sa taong ito, ipagbigay alam lamang po sa numerong ito 0918-6618583 (Rowena Sotto). Maraming Salamat po! The original plan of having a swimming party to celebrate our first-born's 10th birthday did not push through. We are still recovering from the loss of a loved one, so we decided to take the birthday girl to a mall for a lunch date. Husband and I are lucky to have such an understanding little lady who did not complain at all. It was an early birthday celebration, we went to the mall the weekend prior to her birthday which is April 25. 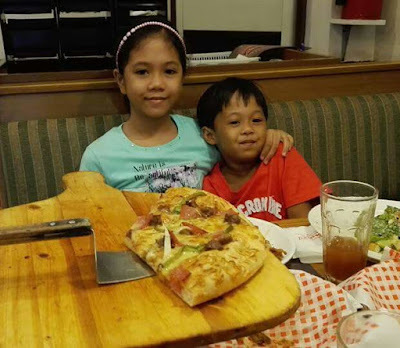 We had lunch at Shakey's Pizza in SM Centerpoint, then Yohan and Thea played in the arcade afterwards. 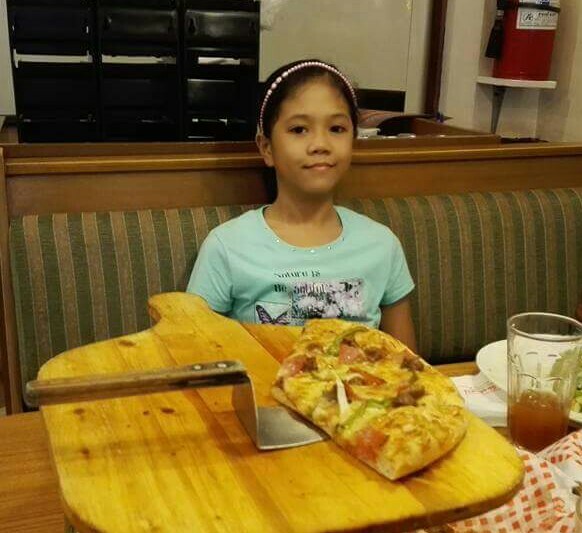 Thea was very happy because Shakey's was generous enough to give her a birthday pizza and a sundae. Belated Happy Birthday, my honey bunch! Howdy! Hope everyone's having a blast. Let's remain calm even in the midst of stressful situation and extremely hot weather here in our side of the Earth. I just ended a one-hour phone call with my folks back home. I talked to my sister, then my niece and 2 nephews, and then Mama. After putting down the phone, my niece told me via text message that Lola is beaming with joy. That comment made me realize that I should talk to mom as often as possible. That's one of her simple joys - hearing good news from us, her children and grandchildren even though we're miles apart. 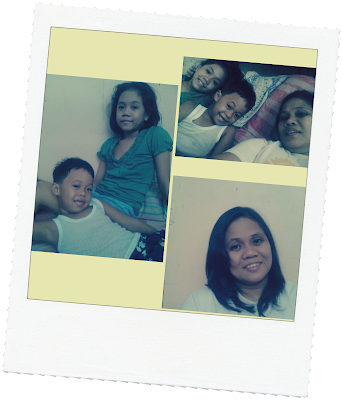 They live in my hometown in Sorsogon while me and my eldest sister live here Manila. With my Manoy Onel's untimely death, we, as a family decided to remain united and keep the communication lines open. Despite being busy caring for our own families, we should never forget to (at least) say hello to each other every now and then. There's mobile phone and social media, anyway. It's easier to communicate. Sa siyam na magkakapatid, anim na lang kami natira, di pa ba kami mag-dadamayan. At higit sa lahat, we want to more spend quality time with Mama. We are looking forward being together again come July 4th to celebrate Mama's birthday. We are planning for a simple yet meaningful celebration for the Sotto matriarch. That's 2 month prep time. Mother's Day is just around the corner, if I'm not mistaken it'll be on Sunday, May 8. 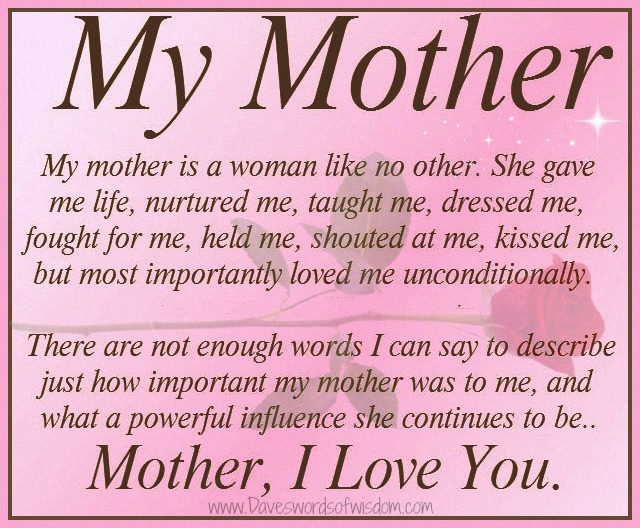 This is my message to my Mama Ester. I Love You, Ma!